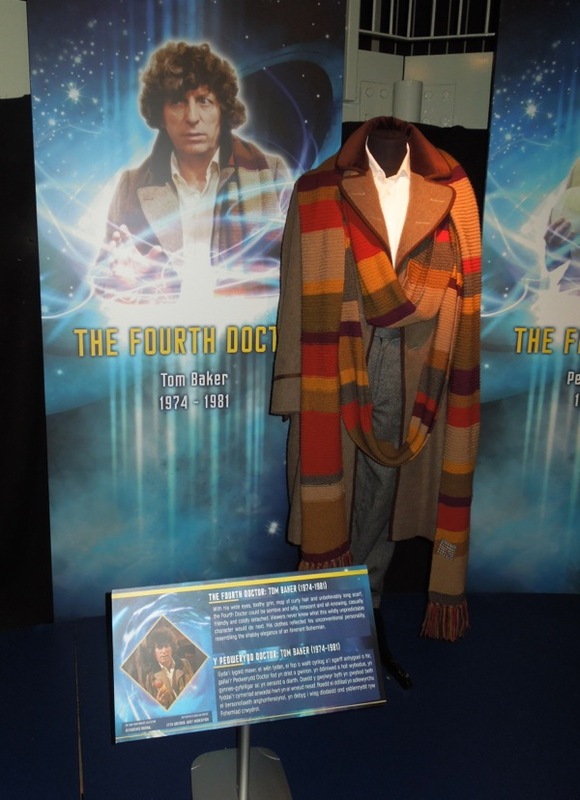 Those San Diego Comic-Con tickets go like hotcakes so sadly I won't be there again this year, but I'm sure that some of those lucky folks that made it will be dressed as the time-travelling Doctor Who from the various eras of the fifty year old show. 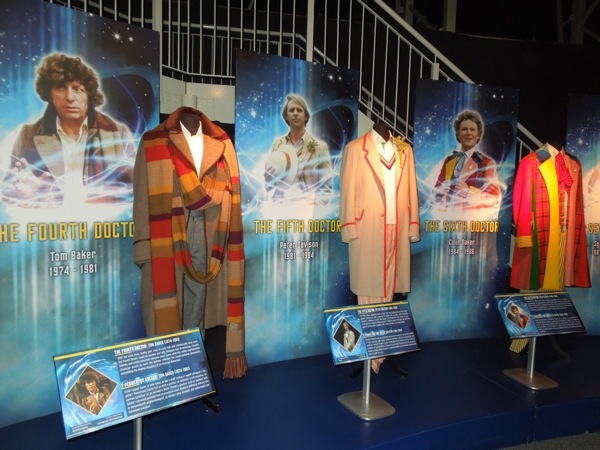 As a consolation I was lucky enough to visit the Doctor Who Experience across the Atlantic in Cardiff Bay, Wales on May 20, 2013 and was fortunate to see up close and in person the iconic wardrobe of all Eleven Doctors to date, plus much, much more besides. 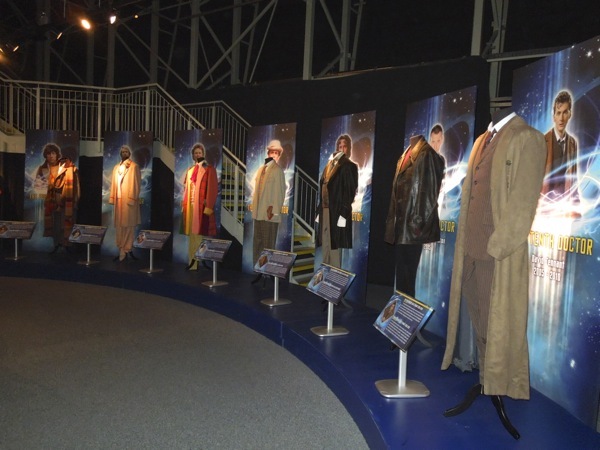 Here's a closer look at the attire for the first four incarnations of the Gallifreyan Time Lord from 1963 to 1981. One of the cleverest conceits of the long-running BBC sci-fi series was that the main character, 'The Doctor', is able to regenerate into a totally new body, with a fresh new personality and outlook, and best of all for the longevity of the show, a new actor to play him. 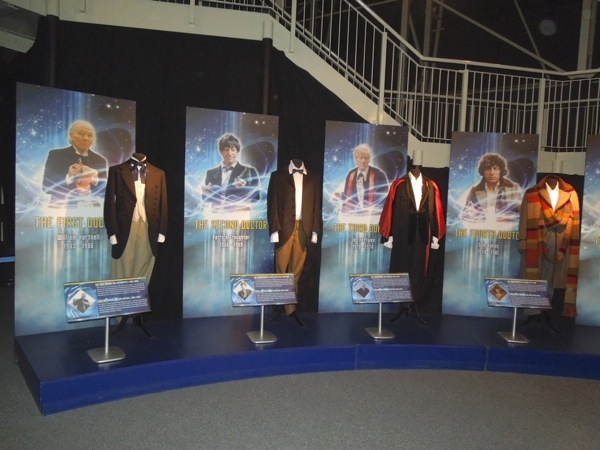 Aside from a fresh wardrobe change it also led to exciting new adventures and brand new Companions to share them with. 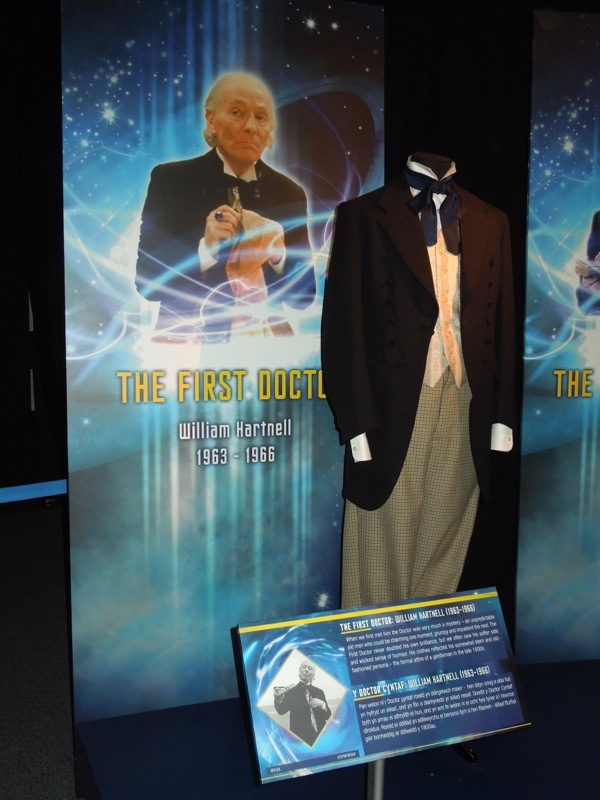 William Hartnell was the actor chosen to play the inaugural Doctor back on 23rd November 1963 in the Doctor Who serial, An Unearthly Child. 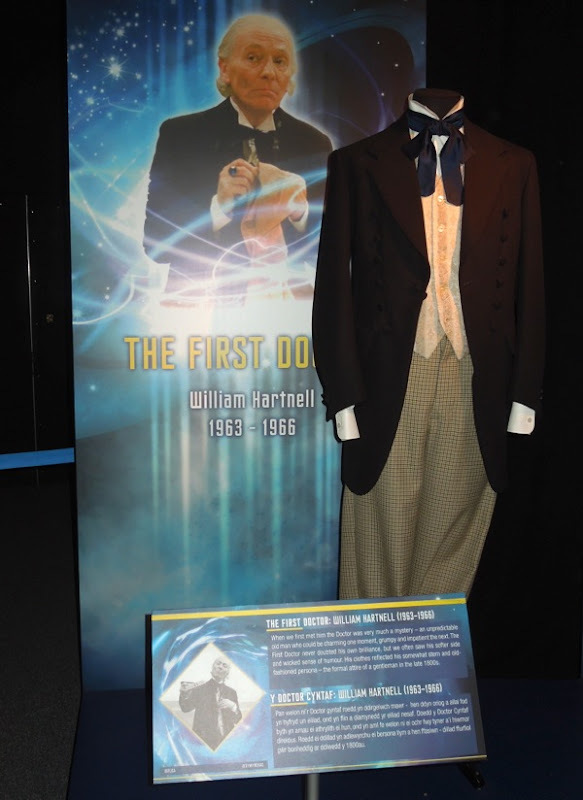 When we are first introduced to this alien time and space traveler he and his TARDIS are very much a mystery, an unpredictable and brilliant old man who could be charming one moment, but prone to grumpiness and impatience the next. 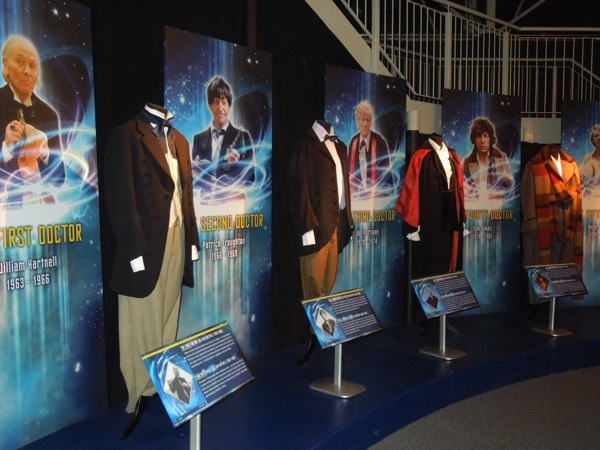 His first Companions included his granddaughter 'Susan Foreman' and her schoolteachers 'Ian Chesterton' and 'Barbara Wright'. 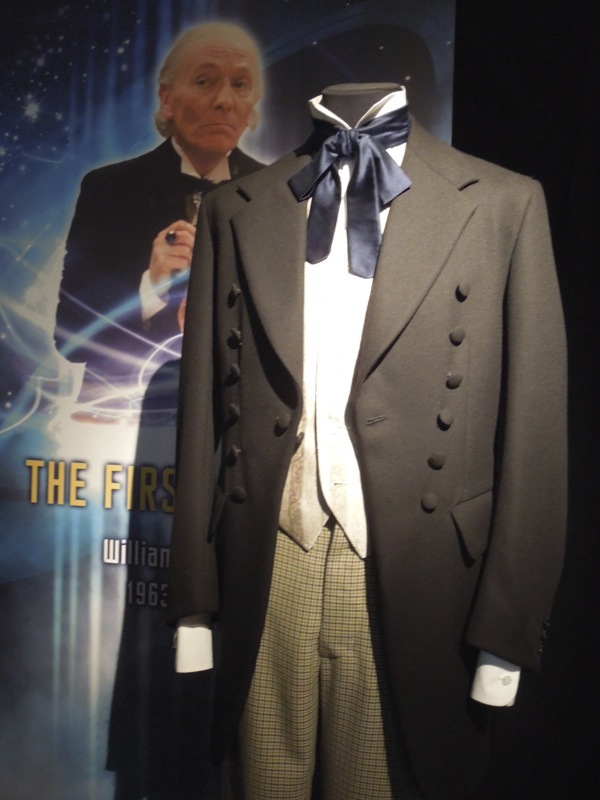 His formal look was that of a gentleman from the late 1800's and his clothes reflected his somewhat stern and old-fashioned persona. 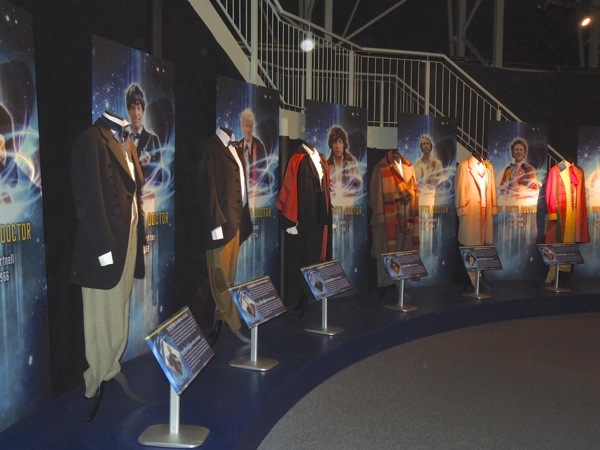 And also as the episodes were televised in black and white it's not that colourful an outfit compared to the costumes that followed. 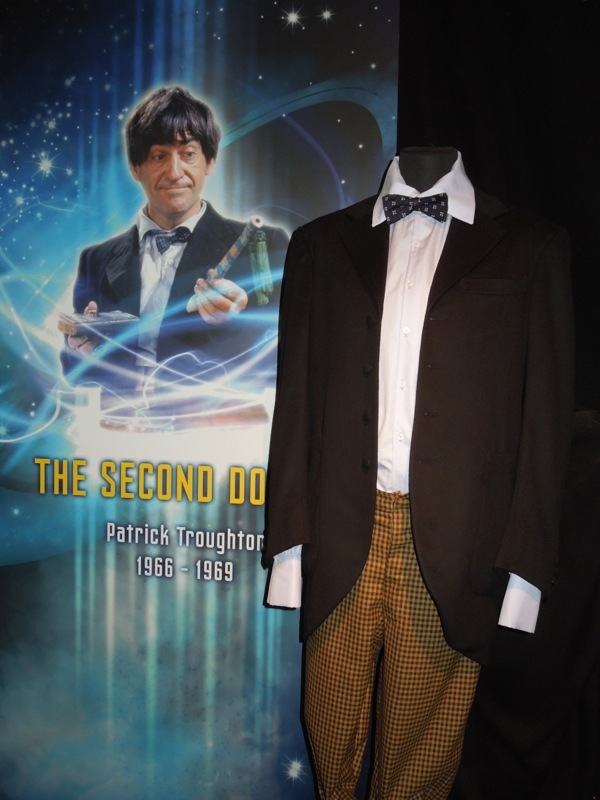 Patrick Troughton played the second incarnation of the Doctor and it was the first time we saw the alien Time Lord regenerate into a new form in The Tenth Planet episode. 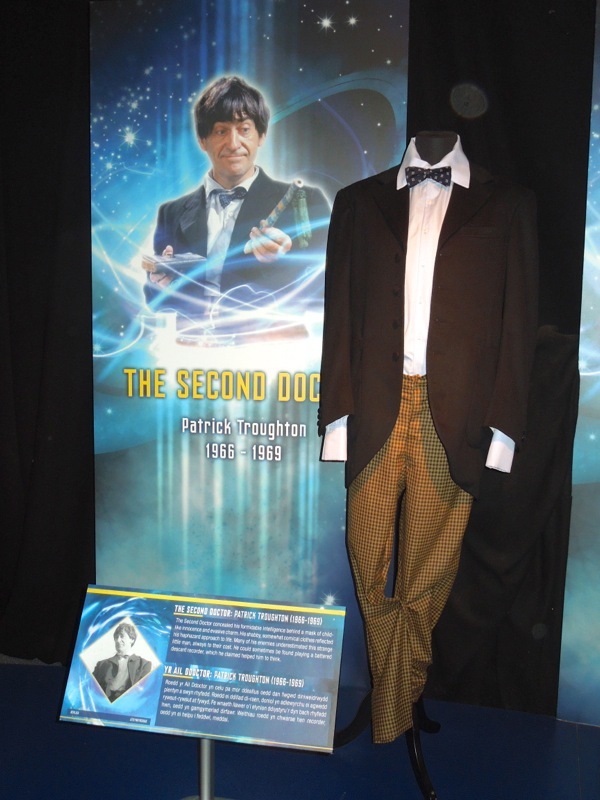 This bow-tie wearing Second Doctor was much more impish and child-like than his predecessor, hiding his formidable intelligence and dark cunning behind his scruffier appearance and bumbling persona. 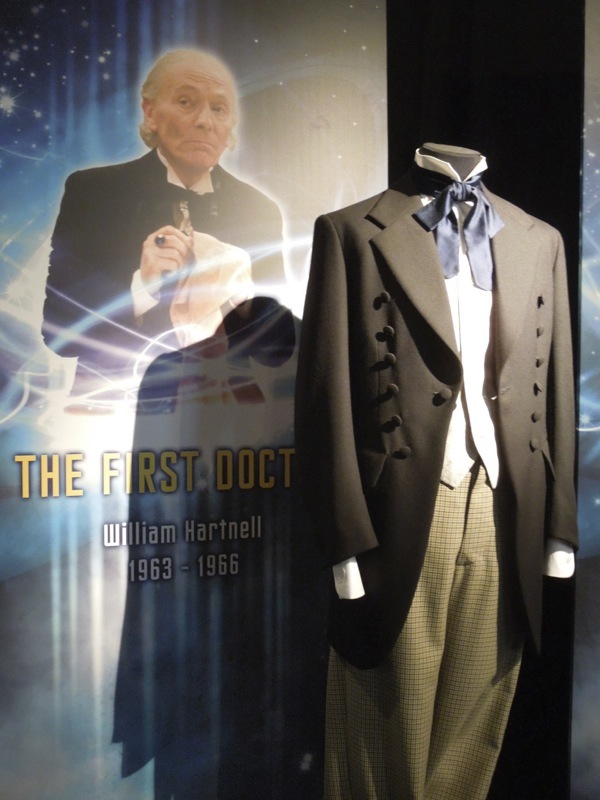 This Doctor had a penchant for hats and for playing the recorder and travelled with Companions like Highlander 'Jamie McCrimmon' and also introduced audiences to future Brigadier and leader of UNIT (United Nations Intelligence Taskforce), 'Alastair Gordon Lethbridge-Stewart'. 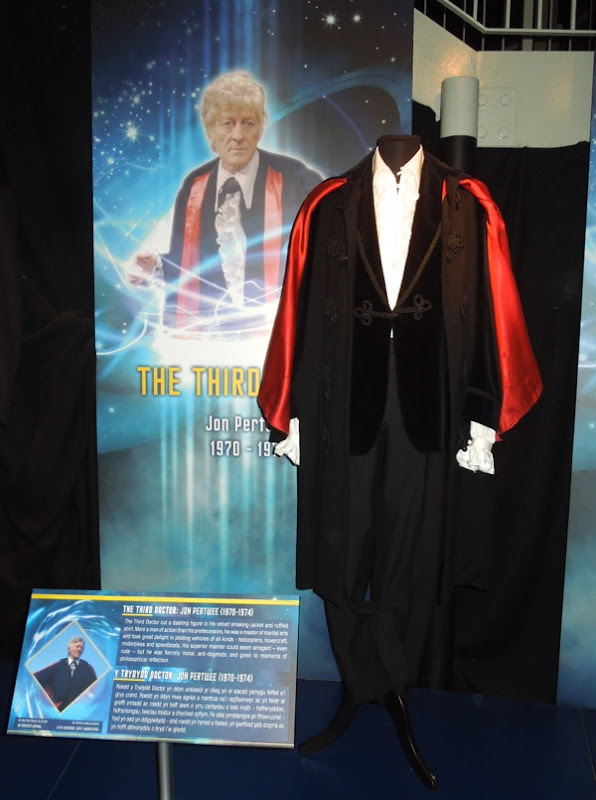 The Third Doctor was played by Jon Pertwee (who later became another British children's TV favourite, the scarecrow that could come to life, 'Worzel Gummidge') and he sported a much more dramatic and dashing ensemble, especially as these stories were the first to be broadcast in colour. 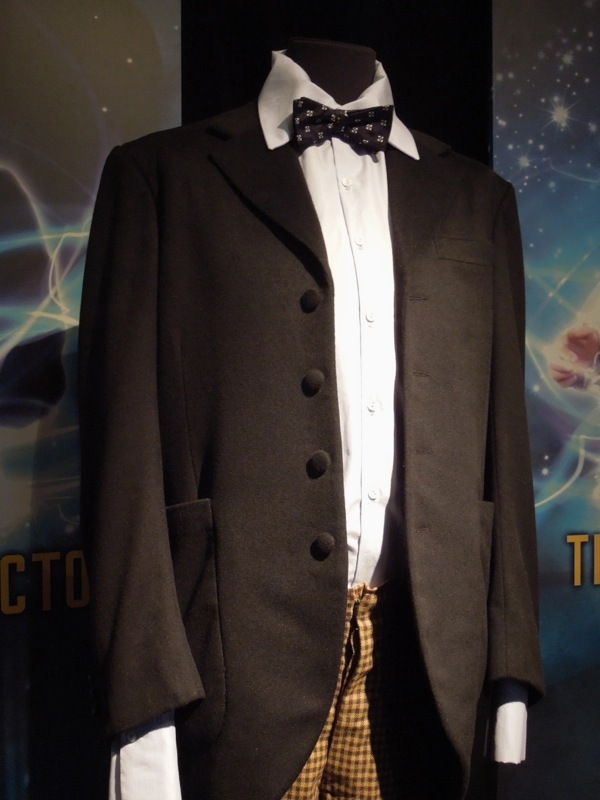 With a variety of coloured velvet smoking-jackets and a ruffled shirt, he was much more of a man of action than his previous incarnations, a master of martial arts, with a love for piloting and driving vehicles of all kinds, including his beloved yellow antique roadster Bessie. 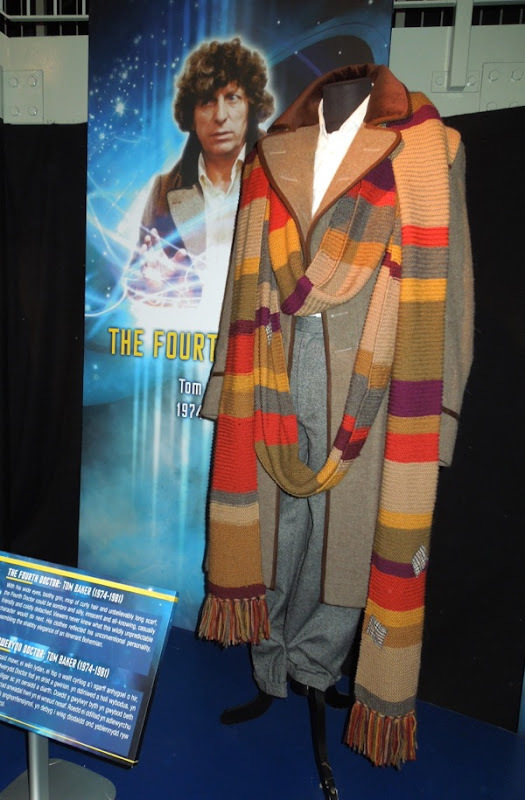 Exiled to Earth by his fellow Time Lords for much of this incarnation, he spent his time as a scientific advisor for UNIT and was accompanied by the likes of 'Jo Grant' and plucky journalist 'Sarah Jane Smith', who became the Doctor's longest-serving assistant and would years later receive her own spin-off series, The Sarah Jane Adventures (2007-2011). 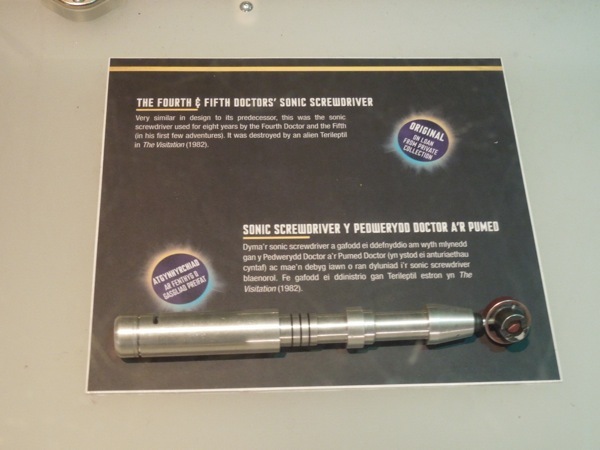 Aside from his TARDIS time machine, the Doctor's most invaluable technological tool is his 'Sonic Screwdriver', which can do all sorts of tricks like open locks, scan, send signals and even loosen screws. 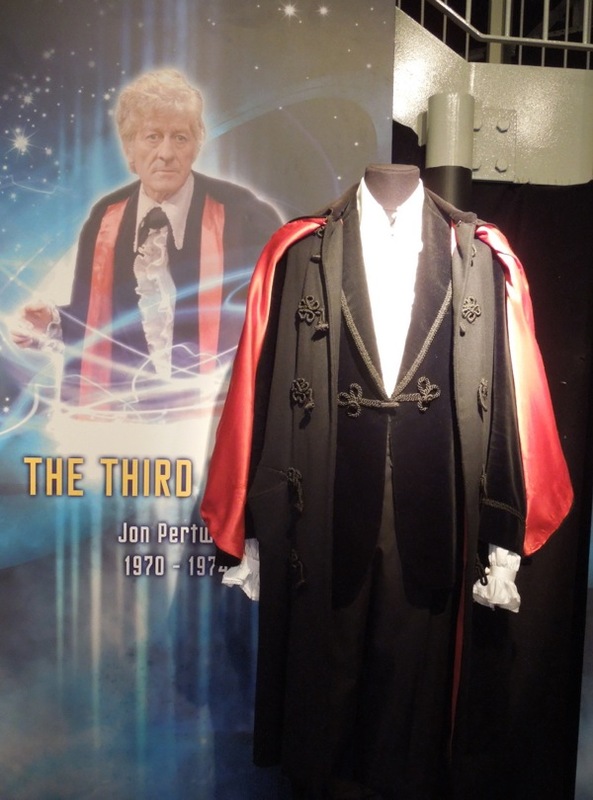 This original prop was used in the series by Jon Pertwee from 1971 to 1974. 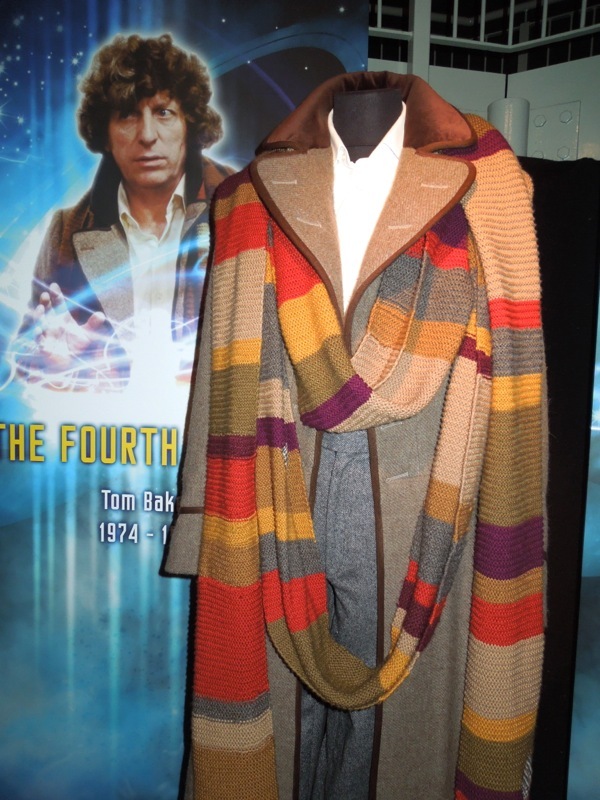 Next is the Fourth Doctor's outfit worn by Tom Baker and some would say, including me, that it is the most iconic Doctor Who costume with that instantly recognisable unbelievably long, striped scarf. 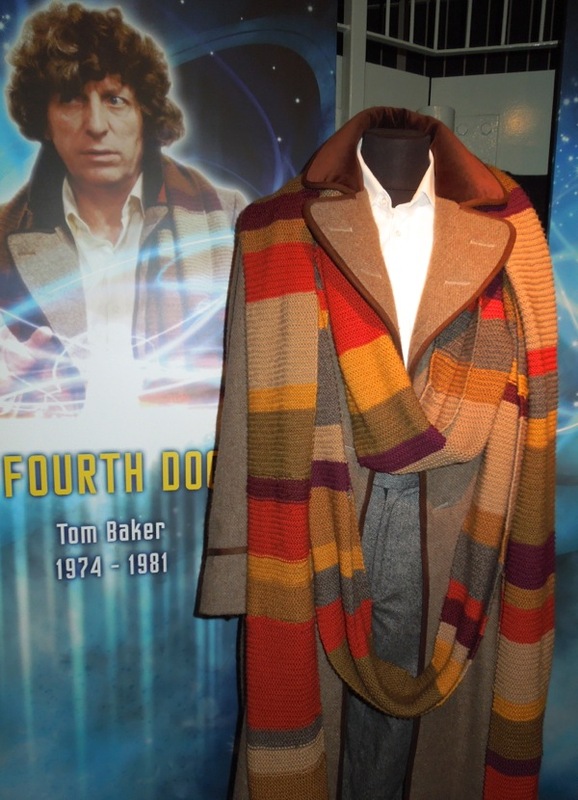 With his wide eyes, toothy grin and mop of curly hair Tom Baker played the unpredictable Doctor for seven consecutive seasons of the show and is currently the longest-serving screen incarnation of the Time Lord. 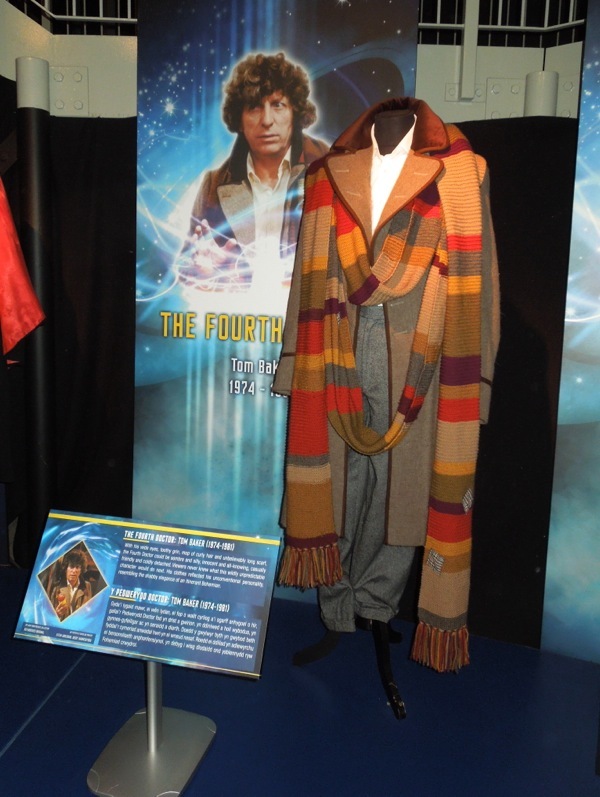 Equally whimsical and brooding, this Bohemian version of the Doctor who after being confined to Earth was eager to explore new worlds and could be incredibly warm, yet also incredibly detached and quick to anger at times. 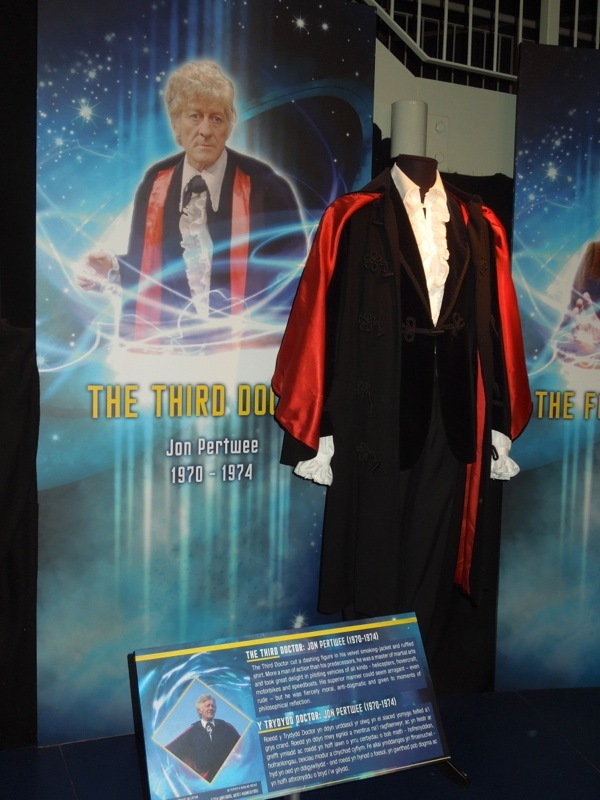 This is the first Doctor I really grew up with (I was born in 1974), and I remember his Companions like Sarah Jane Smith, the scantily-clad savage alien warrior 'Leela' and female Time Lord 'Romana', but my favourites were probably extraterrestrial aristocrat 'Nyssa', boy genius 'Adric' and Aussie air stewardess 'Tegan'. And who could forget his faithful robotic dog 'K-9'. 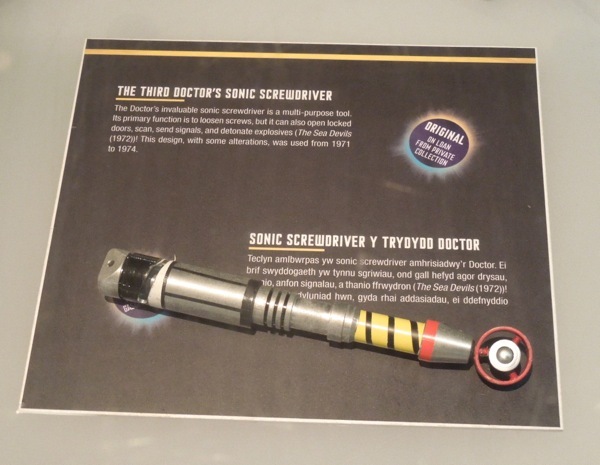 Meanwhile this trusty Sonic Screwdriver prop was used for eight years, by both the Fourth and Fifth Doctors. 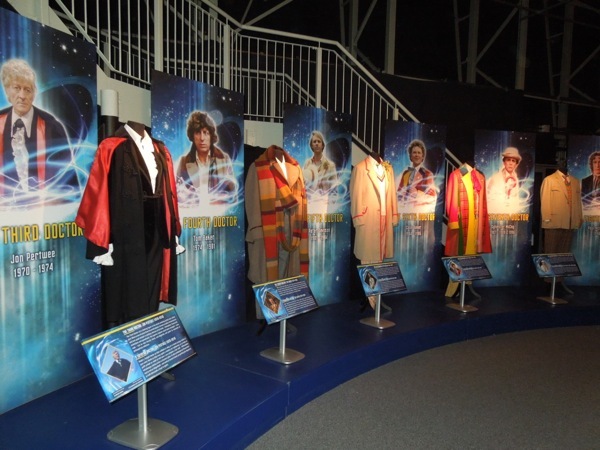 If you liked all these classic Doctor Who outfits, be sure to stick around in the days to come as we travel through time from 1981 to 1996 for more Time Lord style choices. 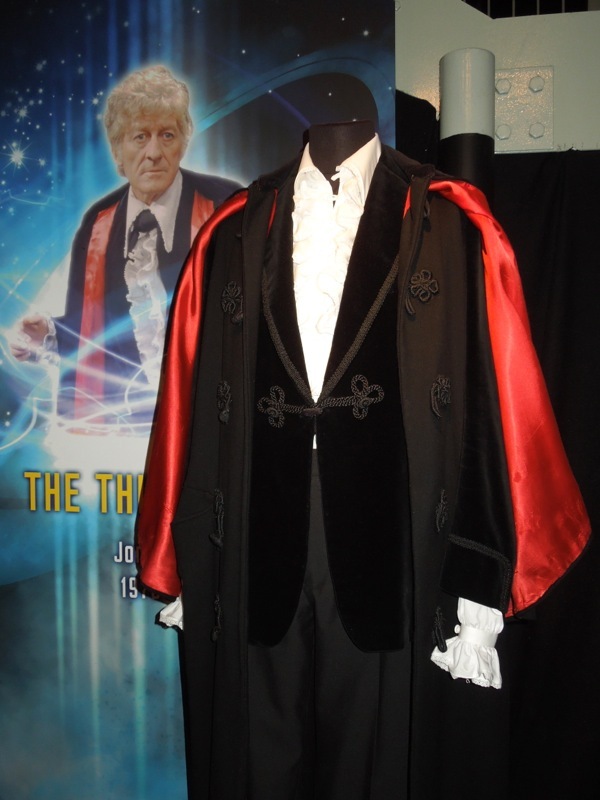 Plus check out all these other Doctor Who costumes, props and monsters here at Hollywood Movie Costumes and Props.